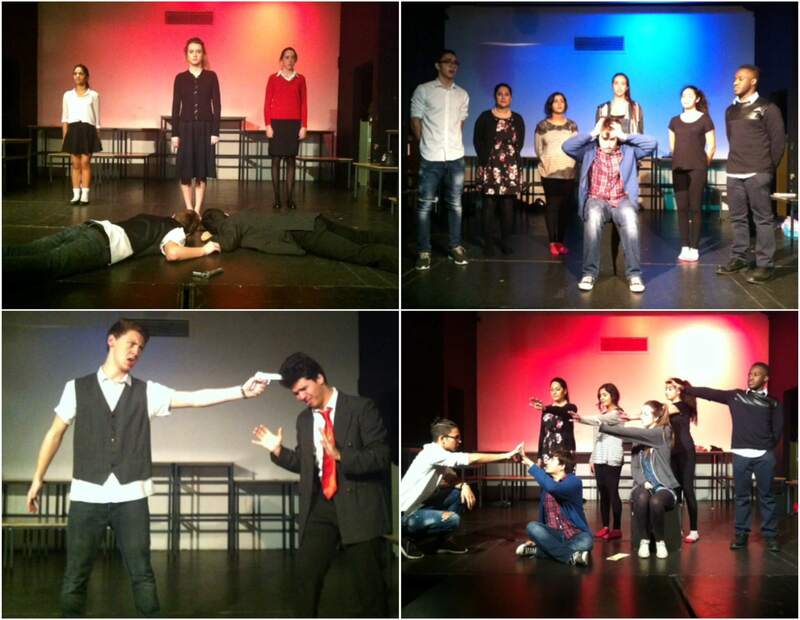 On the 8 and 9 February, Year 12 AS Drama students performed their Unit 2 examination pieces to an audience of students, staff and parents. Curious Incident of the Dog in the Night-Time, by Simon Stephens, adapted from the novel by Mark Haddon, was performed by Umme Alam, Nadine Alhawaj, Hisham Husain, Fatema Jallaf, Christophe Karam, Almass Mubarak and Luisa Valadao Spoorenberg. Blood Brothers, Willy Russell’s play about twin brothers separated at birth, was performed by Alaa Alaradi, Abdulla Bazian, Joseph Gallagher, Tara McCarthy and Phoebe Rennie. The performances were received with a mixture of laughter and reflection by enthusiastic audiences, including several KS3 Drama classes who were lucky enough to see dress rehearsals.